Enigmatic, intelligent, and fiercely independent, Emily Brontë refuses to bow to the conventions of her day. She is distrustful of marriage, prefers freedom above all else, and walks alone at night on the moors above the isolated rural village of Haworth. But Emily’s life is turned upside down by the arrival of an idealistic clergyman named William Weightman. 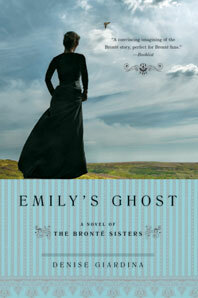 A heart-wrenching love story, Emily’s Ghost plumbs the depths of faith, longing, and romantic solitude.